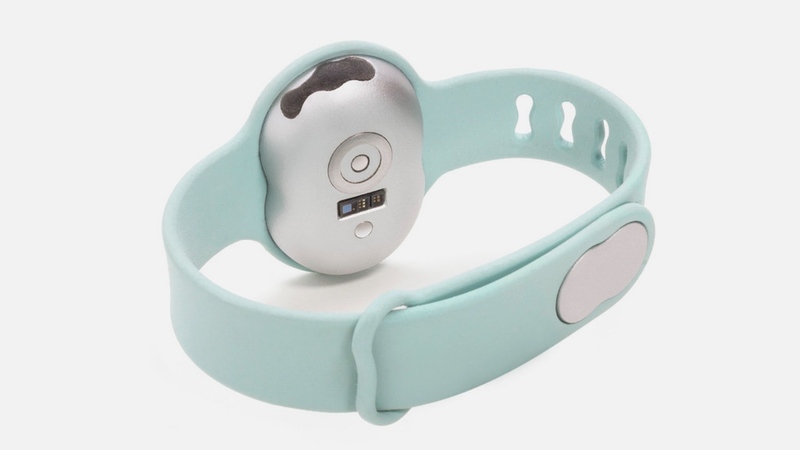 Trying to get pregnant isn't always easy which is why there's a growing number of gadgets to help couples out - and the Ava fertility tracking bracelet is a new wearable you can add to the list. Worn only during the night, Ava's makers claims it can detect an average of 5.3 fertile days per cycle by reading your body's cues to gather millions of data points. Specifically, Ava is looking at nine physiological parameters: resting pulse rate, skin temperature, heart rate variability, sleep, breathing rate, movement, perfusion, bioimpedance and heat loss. Everything is then synced to your iPhone in the morning (with Android support coming soon). Sounds like a lot for a simple, Misfit-esque looking wearable. If that's not convincing enough, the Switzerland/San Francisco startup is submitting a research paper on its findings to be peer-reviewed by a reproductive journal. According to the Ava site, the team is also planning to push out more clinical studies to hone its algorithms "for use in both pregnancy recognition, pregnancy monitoring, and possible use as a non-hormonal contraceptive device." With the wearable, the company hopes women can better track their bodies to figure out the best time to conceive. That's apparent in the research and the fact that Ava is FDA approved, classified as a medical device rather than a sleep tracker or step counter. The Ava bracelet is available to order now for $199.